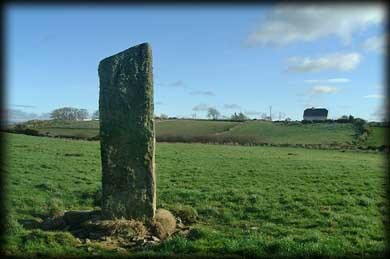 The stone stands in the Barony of Tirawley which gets its name from a fifth century King Amalgaid Or Amlongad, who had a son named Coirpre, the inscription may refer to this family. 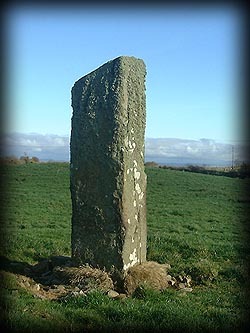 Situated: From Ballina go North through Killala, take a right after you cross Palmerstown bridge then drive North along this road passing the Rathfranpark wedge tomb, the Ogham stone can be seen in the field on your left just after the next crossroads. Discovery Map 24: G 1828 3380. Last visit Apr 2004.